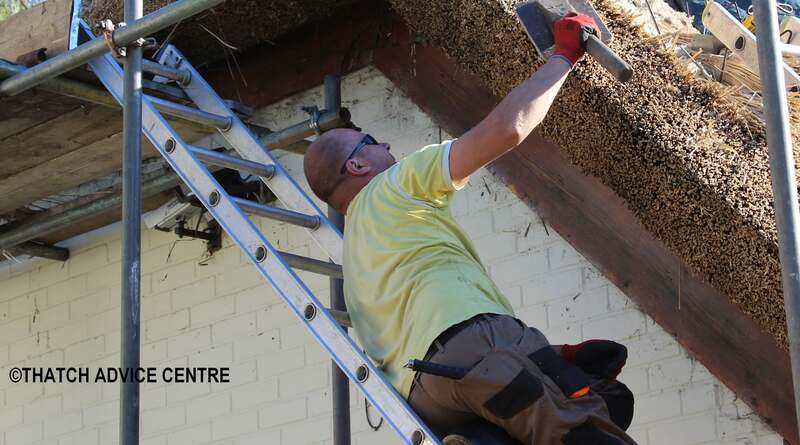 These terms are used for the ends of thatched properties in describing the roof structure. Hips are angled thatched roof elevations at the ends of a thatched roof. They are the thatched triangular finish points which have angular corners. 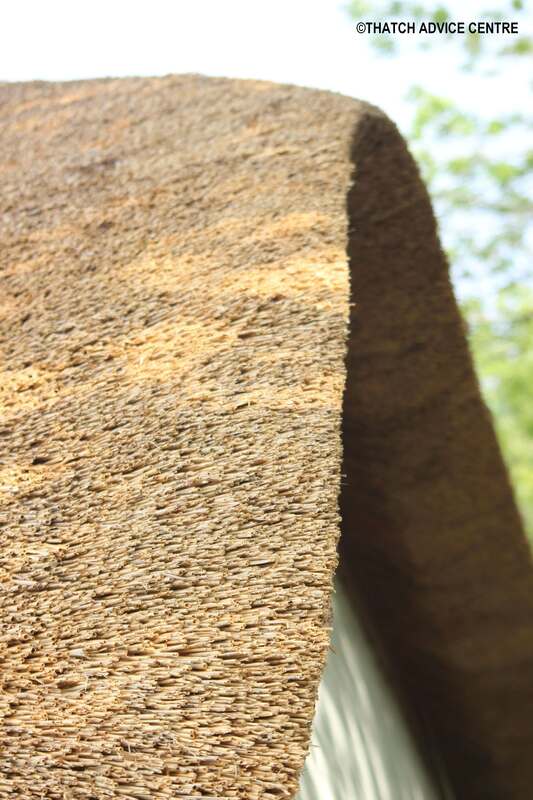 As part of thatched roof design, they are used for the ends of buildings and continue the thatch around the building. You can have half, full or quarter hip ends. They are strong and more wind resistant than gable ends. Hip construction is generally thought of as stronger, although more complicated to build than a gable end. 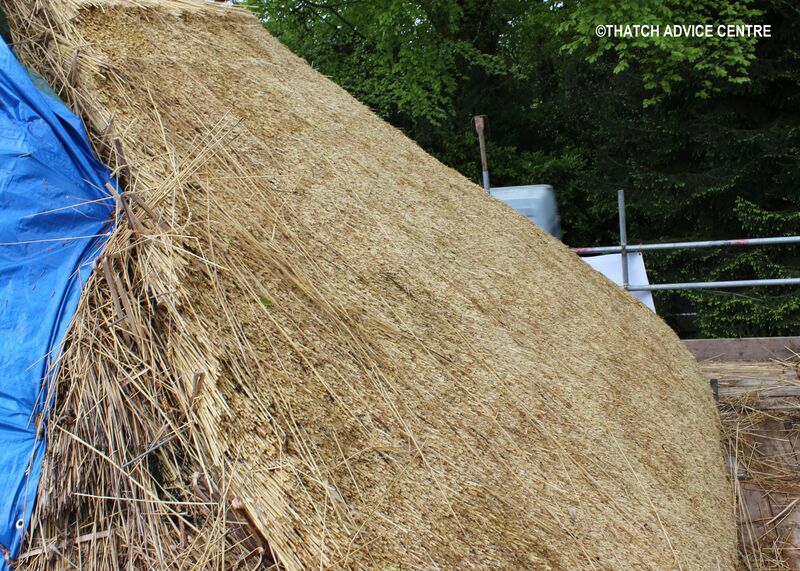 Where the end of a building has two straight thatched edges that run to a point, it is called a barge. A thatch barge is on the gable end of a roof. Gable roofs with barges are easier and generally less expensive to build. There is some evidence to say that in a storm hip ends are more wind resistant than gable ends with barges.